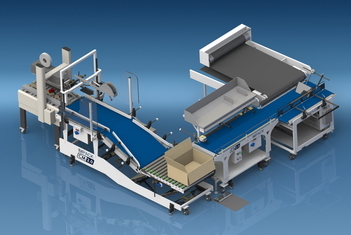 The 90 degrees transfer conveyor CT is designed to change the orientation of the folder gluer box shingle, 90 degrees to the left or right, to orient the boxes for packing into the corrugated cases. 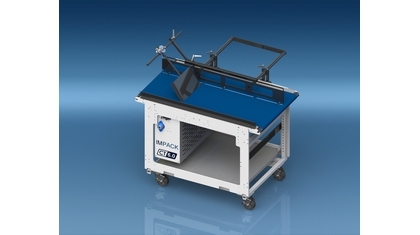 The CT conveyor can be used with the ERGOSA and VIRTUO packers or other packing stations. It's synchronization speed control allows for interruptions in the product shingle and is ideal for turning different types of boxes from small to very large.